In this week’s blog, I refer to: The Ministry for Housing, Communities & Local Government; the Regulator of Social Housing; Department for Work & Pensions; Rents; Service Charges; Risk Management; Training & Seminars. 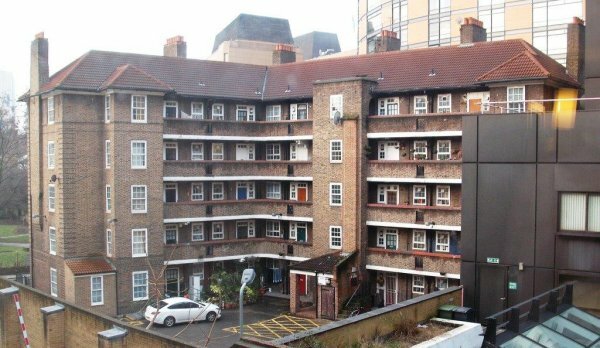 The Ministry for Housing, Communities & Local Government is seeking views on a proposed direction to the Regulator of Social Housing on social housing rents from 1 April 2020 onwards. This consultation closes on 8th November 2018. The government’s proposal is to issue a new direction from the Secretary of State to the Regulator of Social Housing to ensure that, from 2020 onwards, the Regulator’s rent standard reflects the government’s announcement of October 2017 that they intend to permit registered providers to increase their rents by up to the rate of increase in the Consumer Prices Index (as at September) plus 1% each year, for a period of at least five years. During the first rent year after the social rent reduction period, the Consumer Prices Index plus 1% limit will apply to the average weekly rent in the final year of the rent reduction. In subsequent years, the standard will require providers not to increase weekly rent by more than the increase in the Consumer Prices Index plus 1% each year. The limit on rent increases will also apply to properties let at affordable rents including where rents are re-set when a property is re-let to an existing tenant. ‘Rent caps’ will increase by the increase in the Consumer Prices Index plus 1.5% each year although increases for individual tenants must remain within increases in the Consumer Prices Index plus 1%. The government considers that registered providers should endeavour to keep increases in service charges within the limit on rent changes (the increase in the Consumer Prices Index plus 1%). The rent standard will apply to local authority registered providers (as well as to private registered providers), to reflect the roll out of Universal Credit thus bringing local authorities within the scope of the standard for the first time. The Secretary of State will be able to exempt ‘relevant local authority accommodation’ from the standard if it is considered necessary to avoid ‘financial difficulty’. Universal Credit is not compatible with the current arrangements for controlling the welfare costs of local authority rents that are based on housing benefit and the ‘limit rent’ for housing benefit subsidy purposes. The Department for Work & Pensions intends to end ‘Rent Rebate Subsidy Limitation’ when the new rent standard is in force. The direction sets out the basis on which social rents and affordable rents are set. It does not apply to tenants with high incomes where the landlord has opted to charge a market or near-market rent. Formula rent (with the 5% or 10% flexibility level, and subject to the rent caps) will become a limit on the initial rent for a social rent property (including re-lets) with landlords free to set a lower rent if they wish. Where social rents are currently above the formula rent (plus the flexibility level) rent increases will be limited to increases in the Consumer Prices Index only. This policy does not apply to: Shared ownership low cost rental accommodation, Intermediate rent accommodation, Specialised supported housing, Relevant local authority accommodation (se above), Student accommodation, Private Finance Initiative social housing, Temporary social housing or Care homes. Rents for social housing from 2020/21: a consultation paper. The website also provides information on how to respond to the consultation. 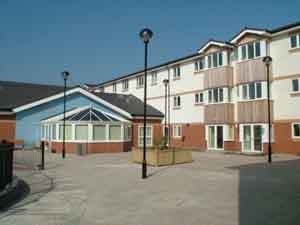 Flats in Lambeth and Supported Housing in Oldham - Service Charges are usually highest in flats and supported housing. Very useful and engaging seminar. I learnt a lot. Very knowledgeable presenter. Clear and concise information provided. Use of case studies good. Very good course presented very well. Very well paced. All good. We need to improve our service charge recovery. Thank you. "I would like to say that I really enjoyed your seminar... and gained a lot of new information from it." For more information about in-house training in risk management, please click here. Our next seminar is on ‘Developments in Local Authority Housing Finance’ and will be held in London on 9th October 2018. This seminar looks in depth at current developments in local authority housing finance in England – especially the implications of government policies, public finances, rent policy, welfare reform including universal credit, the reinvigorated ‘right to buy’, the funding of supported housing including the sheltered housing rent, the homelessness reduction act, the flexible homelessness reduction grant, the affordable housing programme (including the new funding for social housing), the selective raising of the borrowing cap, the social housing green paper, local housing companies (what they can offer, how to establish them and how to set one up) and new development.